Very few cars managed to change the automobile world like the Miura. With its central engine and fascinating body designed by Marcello Gandini for Bertone, in 1966 Lamborghini redefined the concept of Super Car. Sceptical about the possibility of selling a large number of this sports car, Ferruccio Lamborghini decided to produce it on a small scale. 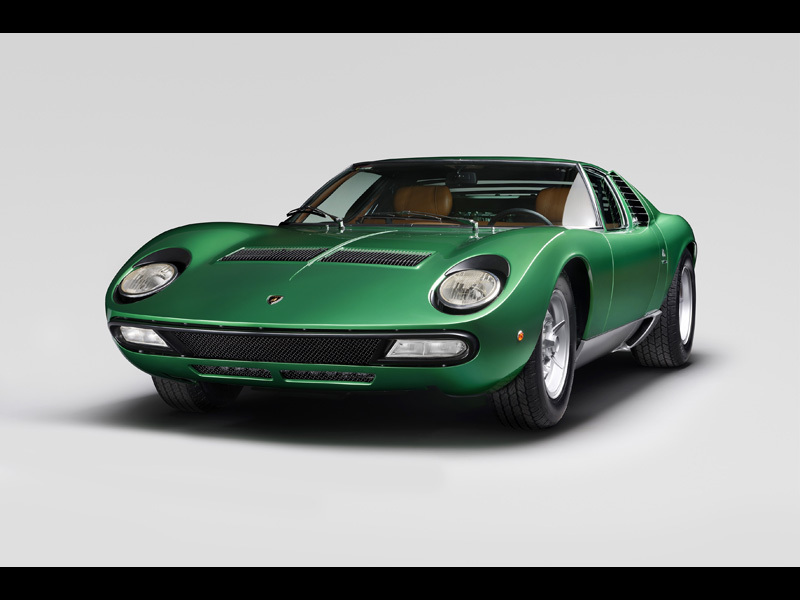 Between 1966 and 1969 275 models of the 350 HP Miura were made and it was not until 1969 that its evolution was launched on the market, the 370 HP Miura S.
Having become a legend with the Miura and Miura S models since their production began in 1966, in the spring of 1971 Ferruccio Lamborghini surprised the world with the new Super Car Countach LP 500. Because the demand for the Miura was still high and preparations were still underway for the mass production of the Countach LP 500, the company decided to present the evolution of the Miura, the SV model, with its wider mud guard and greatly revamped 385 HP engine with separate lubricating systems for engine and gearbox. The last Miura SV was delivered on 15th January 1973 to the son of the car manufacturer Ferdinando Innocenti.